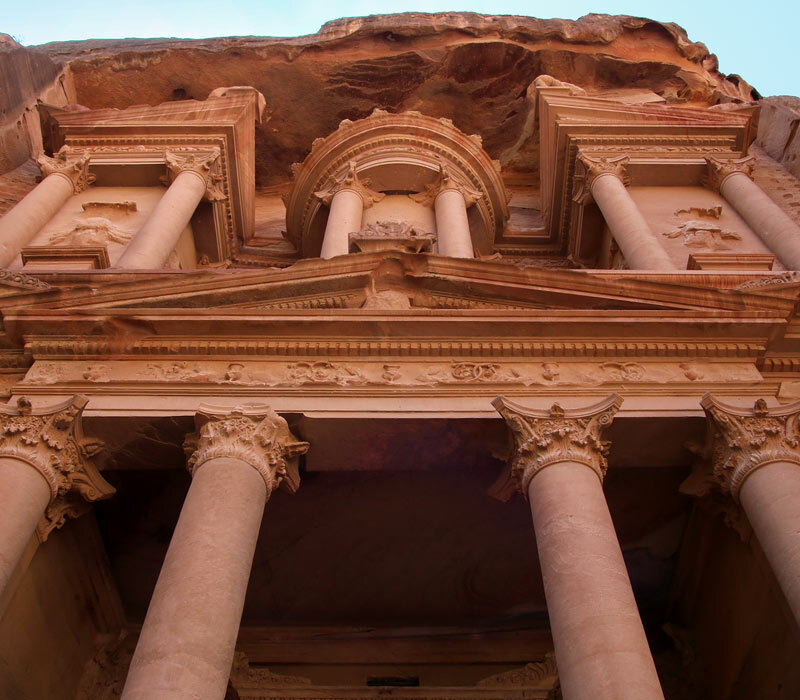 From the first glimpse of that luminous revelation at the end of the narrow darkness of the Siq, the Al-Khazneh with the elaborate perfection of its carved façade is undoubtedly Petra’s most famous monument, and surely one of the most popular tourist attractions in the world. 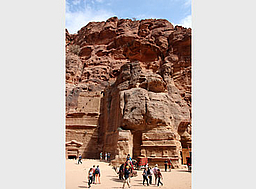 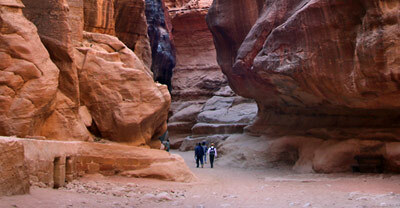 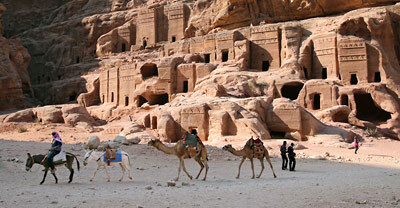 It is a 39-meters-high mausoleum for a Nabataean king, carved deep into the red sandstone rock face during the 1st century BC. 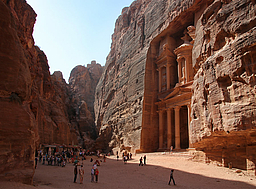 The name "Khaznet Fir'aun" (Treasury of the Pharaoh) is not Nabataean; it was how local Bedouins called it. 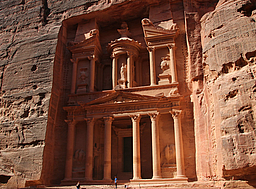 They believed that an Egyptian pharaoh in pursuit of the Israelites commanded its construction in order to deposit his treasure in the urn at the top. 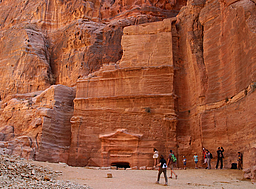 They even shot the urn with their guns trying to break it and release the gold and gemstones. 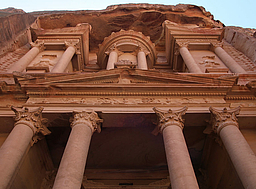 For a more detailed description of the façade, see the image pages.